Be it an individual freelance developer or a start up with team less than 10 or say even an enterprise with 100 employees; we got pricing plans that are suitable for each and everyone. As compared to other project management tools out there our pricing plans are very economical. Not just that, you can at any time change your pricing plan without any prior notice. Register for a free account to know more. 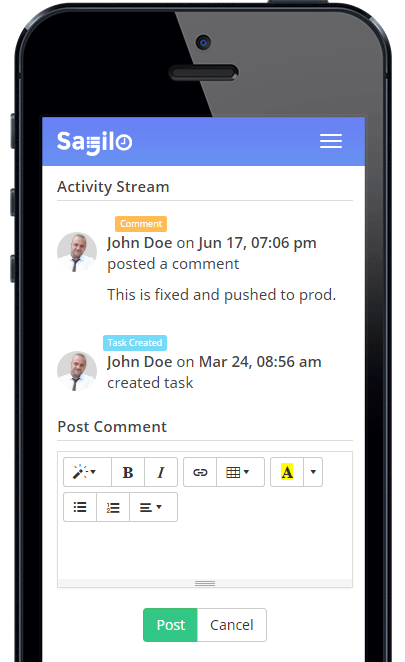 Sagilo works on prepaid credits. This means you can at any time of the day change your pricing plans. No commitment.